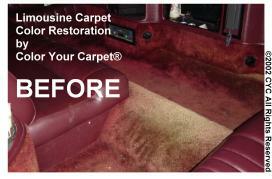 We can restore the color of your carpet in your car, van, RV or other land vehicle to your specifications. 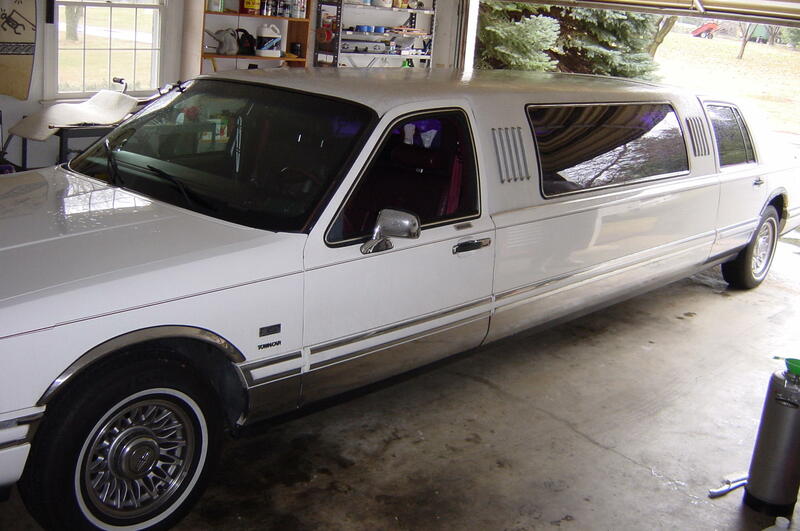 Whether a luxury vehicle, a restored show car or simply the family transportation, we can match or create just the right color for you. 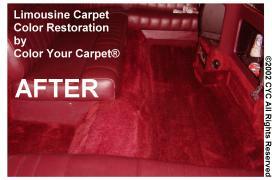 For fleet and commercial vehicles as well as recreational vehicles, we can make the carpets look new again. 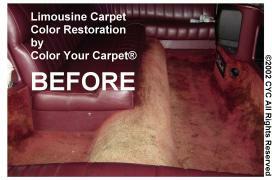 Color Your Carpet can restore the ugly discolorations in vehicles. 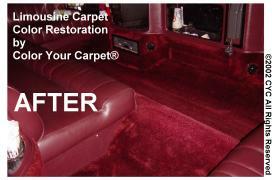 Carpet discolorations on faded color carpet can be revived and enhanced with a custom color matching, restoring even and beautiful light or dark colors back to original life and appearance. These photos (above), even on the best monitors and computers, do not do justice to the actual results when seen in person. Send us a sample of your carpet or call us for an evaluation and we will respond with a proposal for dyeing, tinting or restoring the color of your carpet.